ICC Twenty 20 World cup 2012 six Match Group A Match played between England vs Afghanistan on dated 21-September-2012 Friday. Afghanistan won the toss and elected to field first. England made 196 Runs against Afghanistan. 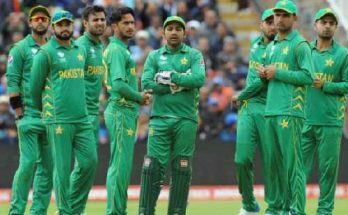 Afghanistan can’t achieve the target and all team of Afghanistan was out before achieving the target, Afghanistan team out all team on score 80 runs. England won the match from 116 Runs. Luck Wright played well against Afghanistan and made 99 runs from 27 balls. Luck Wright achieves man of the match trophy. Muhammad Shahzad from Afghanistan made only 1 run. 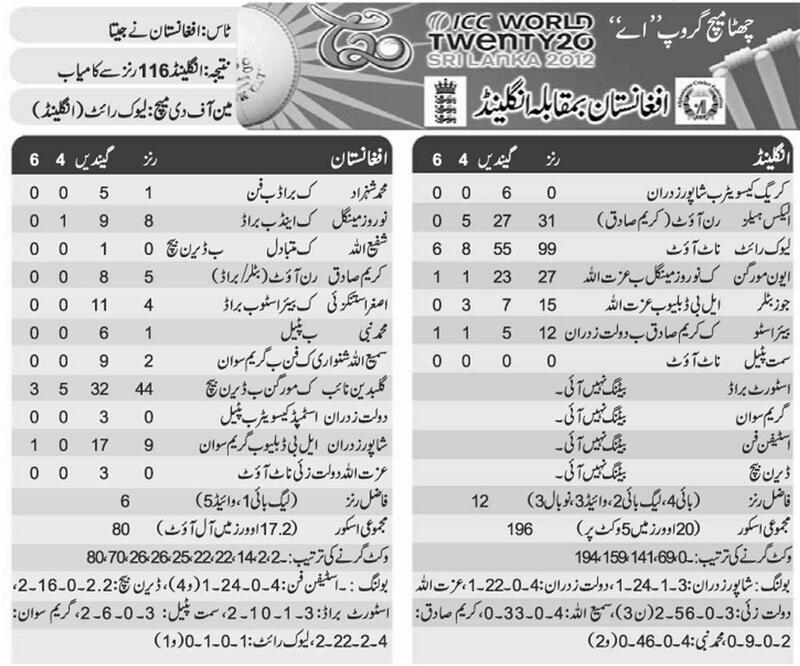 The Score Card of both the team players and given in image file in urdu for you dear friends.